This description of Timothy Conibear's work was prepared when Timothy Conibear was elected to the Ashoka Fellowship in 2015. Tim is working with disadvantaged township communities in coastal areas to stabilize the emotional well-being of young people who have experienced trauma (and safeguard those at risk) by introducing new social structures and an integrated network of peers, to help them deal with the effects of traumatic life experiences and reduce their chances of being left behind. Tim created a non-profit organization called Isiqalo, a local language name meaning ‘the beginning’, with Waves for Change (W4C) as its flagship program. The core of Tim’s innovation revolves around a comprehensive curriculum-based methodology within Waves for Change (W4C) with three distinct levels that together create an integrated network of youth and peers empowered to provide emotional support to each other through traumatic experiences and offer mentorship and guidance for positive life choices. The modules are drawn from the principles of cognitive behaviour and humanistic approaches to therapy, and are fused with surfing: a sport considered foreign in most coastal townships and whose natural aesthetic recruits the most vulnerable young adults to W4C programming. The W4C programme helps individuals open up, understand their present situation and develop competencies to cope with emotional trauma and forge forward positively under the guidance of a new, supportive peer group. Tim engages a network of schools, community leaders and other community based organizations working with the youth as referral points for young people exhibiting symptoms of being at risk (like emotional symptoms, difficulty regulating behaviour, problems with concentration and learning and involvement in anti-social peer groups) or who are known to have gone through traumatic experiences (death in the family, divorce, violence, abuse). Key contacts like teachers, principals and community volunteers are identified and trained on how to recognize symptoms of emotional trauma in young people and refer them to the program. These are then introduced to the entry level of the W4C curriculum as Participants and exposed to structured modules that help stabilize the individual, re-attach their emotions and enhance their coping skills so they can ‘find themselves’ once again using the challenging sport of surfing, within an integrated network of peers from similar backgrounds. This follows an evidence based 1.5 years curriculum which helps each individual to explore his/her emotions, recognize behavioral triggers and develop alternative coping strategies. Young people who successfully complete this phase graduate into weekend surf clubs, offering prolonged involvement in W4C and an opportunity to enter the next level of training: Elders. This phase is embedded in the principles of African value leadership to create empathy and mentorship skills in young adults who will then be able to assume the role of societal ‘elders’ (senior members of the society) and be able to reach out and provide emotional support and guidance to younger members in the community. This is also a 1.5 years program which boosts the understanding of basic emotional, physical, spiritual and cognitive needs of a child and explores the role that a senior mentor can play in supporting an individual to make positive life choices. Elders then graduate into another phase where they are trained to become Coaches. This is now a 2 year accredited training course that empowers individuals to understand what emotional wellbeing of a child is in their local context, the underlying problems exposing young people to traumatic experiences in the communities, local emotional health resources existing and available to the communities and interventions that can be locally created or mobilized within the communities. Coaches are trained to form referral networks and liaise with key contact points in the community who then refer young people into the program. The course enables coaches to gain a Grade 12 (Matric) qualification in Child and Youth Care work, allowing coaches to reinforce the child protection services available to youth in their community. It also allows coaches to run the whole W4C program independently and manage the whole methodology and this is part of W4C’s scale out strategy. Further, the coaches phase opens various career opportunities for the young adults as they come out with additional skills in child care and support, counselling, surf-coaching, leadership, program management and delivery, first-aid and life-saving. The W4C program started in 2012 and is currently engaging 16 coaches, 25 elders and 250 participants in the entry level course. Isiqalo is running the program in 3 coastal townships of Cape Town working with 6 schools and 3 community based organizations. Through its network of coaches, elders and community key contacts, W4C reaches out to almost 300 young people experiencing emotional trauma per week both within and outside the program contexts. Despite the celebrated decrease in poverty levels in South Africa, statistics indicate that more than 50% of the nation’s population is still poor and living below $1.25 dollars per day, with 56% of black people classified as poor as compared to 7% of the white population and over 52 % poor people living in urban townships (World Bank Chart 2013). Young people living in these disadvantaged areas, especially urban townships, are exposed to harsh living conditions with regular exposure to social ills that include high rates of HIV/AIDS, community violence, unemployment, gender based violence, child abuse, sexual and emotional abuse and these have profound negative effects on their emotional well-being. This negatively affects their capacity to emotionally cope as individuals and they become at risk of becoming societal drop-outs sparking a vicious cycle of youth unemployment, gangsterism, teenage pregnancies, alcohol and substance abuse and suicide attempts which altogether feeds back to accelerate the social challenges in the society. Research results by the South African government department of social development indicate that 43% of young adults in the townships of Cape Town will not complete their education facing a high risk of dropping out of society and perpetuating poverty levels in their communities (Department of Social Development, 2013). Studies indicate that on average, a young adult growing up in impoverished urban townships of Cape Town in the Western Cape province of South Africa is exposed to between 14-23 traumatic experiences each year that may affect his social and emotional well-being, while in the USA, an individual will experience on average 4.3 traumatic experiences in his/her lifetime (University of the Western Cape). Despite this alarming statistical evidence, basic psychosocial and emotional support remains beyond reach for most people in these areas for various reasons. Firstly, most young people in the townships are raised in broken up families with no stable structures to offer or even recognize the importance of emotional support during traumatic experiences. Statistics indicate that only 33% of children in South Africa live with both parents (South Africa Institute of Race Relations, 2013) Secondly, there are no proper social structures among the youth themselves to provide emotional support and guidance through traumatic experiences (or after). There are over 150,000 active gang members in Cape Town. Many young people who form a crop of friends and/or peers are already involved in crime, substance abuse and are not in a position to become pillars of positive support for their fellows. Thirdly, the rising rate of child-headed households places a high burden of responsibility on young people as they concentrate on fending for themselves and their siblings, ignoring their own emotional health needs and the importance of developing emotional support structures to help them cope. Although the South African government has tried to put structures in place to provide basic psychosocial and emotional support to young people, it lacks capacity to adequately and efficiently reach out to everyone in need. The Department of Health allocates an average of 4% of its budget to mental health (which is still inadequate), however most of it is spent on training counsellors and social workers, 85% of whom normally enter the private sector making their expertise and services far beyond reach of local township residents (Cape Times 2014). On the other hand, the Department of Basic Education recruits trained social workers to provide psychosocial and emotional support to school going children who may be exposed to traumatic experiences. Each school is encouraged to have access to a qualified social worker and a trained in-house counsellor for this purpose. However, because of low salary structures in the government only 1% of trained social workers enter the education sector for this purpose and each of them is allocated an average of 30 schools. This leaves average social worker: youth ratios of 1:35,000 (Department of Social Development, Western Cape). This strains the capacity of available resources to an impossible level defeating the whole purpose of in school intervention with emotional health. Further, teachers are not well trained and empowered to deal with children showing signs of emotional trauma. As a result, learners presenting behavioral and learning difficulties (that may result from trauma) are either suspended or expelled from school which perpetuates the vicious cycle of societal drop-outs in township communities. This means that for the majority of children and young adults in the townships of Western Cape and other provinces of South Africa access to reliable, consistent and good quality psychosocial and emotional support is beyond their reach, leaving the wider effects of emotional trauma in the communities unresolved. Tim’s approach is embedded in the comprehensive framework of W4C, Isiqalo’s main program. Isiqalo is registered as a not for profit organization governed by a board of trustees with an executive team overseeing day to day operations of the programs. W4C focuses on increasing access to primary care and emotional support in under-resourced coastal townships in the Western Cape, through a structured methodology based on the culture of surfing. The aim is to create an additional tool for fostering emotional well-being in vulnerable youth and cost-effective referral support systems that both attract at-risk youth (because surfing is commonly seen as a mystery for them) and also ease the burden on under-resourced schools and over stretched social services. The first step of the strategy involves reaching out to community stakeholders and key contact points like teachers, community leaders, volunteers and other community based organizations working with the youth (orphanages, shelters, etc.) to train them on how to recognize and understand symptoms of trauma and maladjustment in young people. These then form an effective referral network of young at risk youth (between the ages of 10-14 years) into the W4C program. Once referred, they are then assessed and recruited into the entry level of the program as participants. At this level, they commit to 12 hours a week of attendance (after school) and are exposed to structured modules with three deliberate outcomes as follows: (1) to foster trusting relationships with Elders, Coaches and fellow Participants; (2) to explore personal emotions and recognize behavior triggers and (3) to develop new and alternative coping strategies. Participants are engaged through various teaching methodologies like teachable moments, support groups, basics of surfing, mentor sessions and psychosocial sessions administered by Elders in the second level of the program and Coaches in the third and last level. Participants are assisted with their homework to boost their academic performance and are also provided with a nutritious cooked meal every day to supplement their nutrition needs. Scheduled and non-scheduled home visit are done to help other family members understand the emotional space the individual is in and foster empathy and continued support even at home. Participants that need specialized support and care are referred to relevant authorities according to their specific needs (clinical psychologists, rehabilitation centers, HIV voluntary counselling and testing centers, social workers, etc.). Participants exit this level through referral by their Coaches, entering weekend W4C surf clubs that offer prolonged exposure to surfing and W4C youth workers, and an opportunity to enter into the next level of Elders. The Elders phase is a critical one, targeting 14-18 year olds to create an empathetic movement of young people who are able to reach out to other at-risk youth in the community and provide emotional support and guidance as societal elders. Together with the Coaches, Elders are groomed to be a positive force in the community to promote pro-social low risk behavior adjustment amongst beneficiaries. This phase covers an average period of 1.5 years and includes modules that help them understand their role in the community as Elders, develop leadership, mentorship and counselling skills, develop empathy and influence positive behavioral change in other people. As part of the practical training, Elders are required to choose on their own three Participants they would like to mentor for a period of time, identify the emotional traumas they are going through and foster a relationship of trust that encourages disclosure of pertinent issues affecting their wellbeing. The Elders then have to map out effective intervention and emotional support they feel would help the Participants and present and the weekly Elders meet and debrief. Elders are also exposed to advanced surfing and life-saving skills to be able to induct Participants to the culture and principles of surfing within their modules. Apart from scheduled training and support, Elders also involved in producing AMAZA magazine, the first surf magazine for a township audience, and arranging an annual beach festival, where they manage teams made up of younger surfers and mentees. The last level of the curriculum is an intensive 2 year Coach training, engaging young adults (ages 19-21 years) who have successfully completed the Elders course. For the first six months, all participants are grouped together for general training on in house child care support and counselling, surf coaching, first aid and advanced life saving skills, advanced leadership and program management, practical site management of the W4C program and tutoring. This is to groom them to be able to run the program and take it to other communities as a way of scaling out. They are also developed as private surfing coaches and life guards as a way of creating employment opportunities for them. Tim has developed a partnership with the National Association of Child Care Workers. After 6 months of engagement, W4C refers those interested to the NACCW’s 16 month training program where they will graduate with a higher education certificate accredited by the South African Qualification Association at NQF level 5 which is the matric level. With this certificate, they enter the Grade R education system, can secure bursaries to pursue certificates of higher education in the social work / youth care sector, or can assist other CBOs working with young people and requiring qualified child workers and counsellors. This ensures that even those that do not have matric and would not ordinarily qualify for tertiary education are able to get an accredited qualification and break through the job market. Although W4C has been in existence for just over 2 years, the program has already consolidated all three levels and Tim is now planning on developing deep partnerships to ground it within the communities and then focus on an effective scaling strategy. At the moment, there are 250 young people across the three levels of the program but the total reach out to the communities (through Elders and Coaches) is about 300 at-risk youth per week. Apart from funding from donors and other partners, Isiqalo runs a corporate surfing program run by Coach-trainees to generate income for operations and currently almost 20% of Isiqalo’s budget comes from this initiative. At the moment, Tim is working with other CBOs and surfing organizations to see how delivering the program through third party organizations would work, as part of preparations of the franchise program that he is developing as a scale out strategy to reach out to other coastal communities in the Eastern Cape and Kwa-Zulu Natal without overstretching the existing resources. Currently, he is working with Philisa Abafazi, a CBO in Lavender Hills on this project. Other organizations interested in the model are Cape Town sport and recreation department (for their new program in Macassar, Tafelsig and Mnandi communities); Nine Miles surf project in Mitchel’s plain Cape Town; Aleph surfing program in Jeffrey’s Bay and The Kicking Aids Out network at an international level, among others. Tim was born and raised in Oxford in a family where his father was a publisher and his mother an entrepreneur running various small businesses. Tim attended Dragon school in Oxford, which is now one of Ashoka’s Changemaker schools. At the age of 12 years in 1995, Tim travelled to South Africa as part as part of his school’s rugby team to play in the junior rugby world cup tournament which was part of the events surrounding and celebrating South Africa’s hosting of the world cup tournament after the first democratic elections. He played against various local and international junior rugby teams in different places including local townships like Khayelitsha in Cape Town. This was his first contact point with people living in extreme poverty in townships and he also got to realize that most poor people seem to have the black skin color and this left him with a lot of questions relating to equity and equality. When he was 21 years at Bristol University, Tim was involved in a tragic car accident in the French Alps that left his two friends dead. Being overseas and away from their families and the only surviving person in the accident, he was left with the responsibility of liaising with the families of the deceased and arranging repatriation. Tim did not realize how traumatic the experience was until several weeks after the funerals when he started processing the whole experience. For a period of almost 12 months, Tim experienced effects of emotional trauma and a dislocation from the present. Following his erratic behavior, he was referred to a psychologist by his University but he had problems opening up to a stranger. Tim found help through a friend who had introduced him to surfing and as he found himself opening up and orienting him to the present and gaining a perspective of his feelings on the water. Tim believes that this experience was what later on became the motivation behind Isiqalo Foundation and the W4C program. In 2007, Tim was involved in the role out of a part-time surfing project for autistic children and young adults at Harlyn Surf School in the UK to fund his education. The objective was to introduce them to new learning experiences and see how surfing would help in their health, happiness and overall wellbeing and he witnessed overwhelming results in the emotional changes of the participants. To Tim, this was a validation of his own personal experiences that surfing is a strong tool for reaching out to people’s emotions. 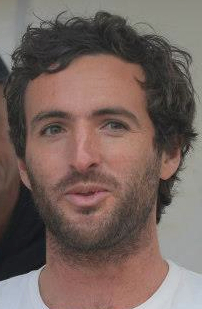 Tim later (in 2008) co-founded a UK based travel company called Ticket to Ride and he worked along the South African coast arranging travel tours between Cape Town and Maputo. During this time, he had started offering surfing lessons to young people in Masiphumelele township, after realizing how the sport is a mystery to the very communities who are so close to the oceans and formed close friendship with local community members Apish Tshetsha and Bongani Ndlovu who would later on become Isiqalo co-founders. At this time, Tim was recognizing a lot of emotional health issues and behaviors in the young people that came to learn surfing and started opening his eyes to the deep problem of lack of psychosocial and emotional health support systems in the coastal townships. In 2010, Ticket to Ride was requiring him to move back to the UK to diversify the company in other areas and he chose instead to break away from the company and stay in South Africa and commit to researching and developing a model that would form the basis of W4C program. In 2011, with the help of Tshetsha and Bongani, he founded and registered Isiqalo Foundation securing the first funding to start ground work on the W4C program concept and methodology which was implemented in 2012. Two years down the line, the program has grown and flourished into a holistic primary intervention for psychosocial and emotional health in disadvantaged communities. Tim is working on consolidating the program, creating partnerships and networks and also developing a practical strategy of scaling out and infusing the model into numerous surfing programs along the coastal areas. Tim is now permanently based in South Africa (and married to a South African citizen) and he has plans to settle down in the country and concentrate on growing Isiqalo and the W4C.